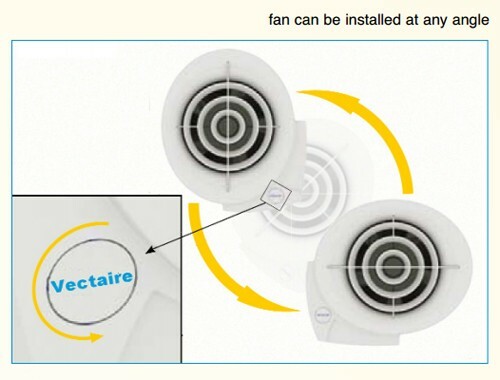 Vectaire E-Smile > SAP Q Eligible Extractor Fan, Cord Or Remote With Filter. 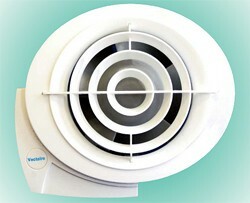 SAP Q Eligible extractor fan in white with air filter. pull cord or remote operation. Size 100mm outlet diameter. 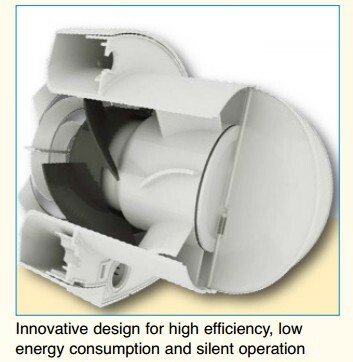 Designed to exhaust air and fumes directly outside or through medium length ducting. Runs continuously at pre-selectable choice of two lower speeds (fixed at installation). Very quiet operation (min 16 dBA). Pull cord can be removed. Easy to install in walls or ceilings. Suitable for kitchens, bathrooms, toilets and wetrooms. 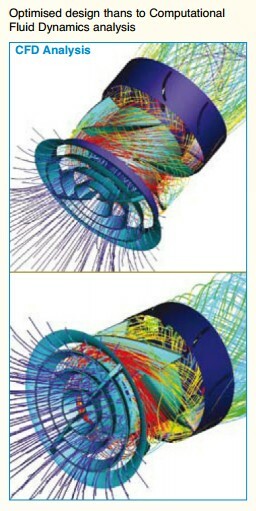 Motors fitted with thermal safety cut-out. Designed to allow it to be installed at any angle. Motors (40,000 hour life) with maintenance free and long life ball bearings. The ES1003 is factory set at Speed 1 (jumper switch with one pin covered to operate at 11 l/sec for bathrooms). Speed 2 (14 l/sec for kitchens) is easily obtainable by covering both pins of jumper switch. Fan outlet size: 100mm (4"). IPX4 splashproof rated - can safely be installed in Zones I and II. 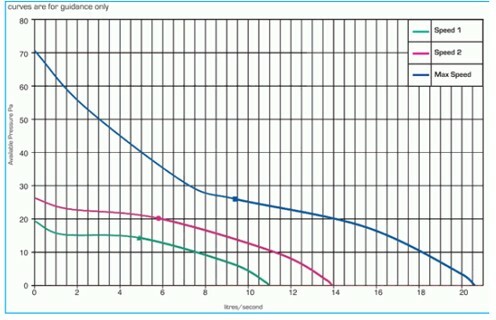 Meets Building Regulation ventilation requirements. E-Smile extractor fans from Vectaire are designed to be ultra modern, come in a choice of specifications and are SAP Q Eligible.